THE MAINSTREAM PRESS AND TV BUSINESS NEWS CHANNELS are “paid to be happy” by advertisers and politicians. In some respects they are no different from the official ratings agencies like Fitch, which are also paid to “rate happy.” Having been proven to be worthless over the last several years, the ratings agencies are just beginning to get a bit more realistic – a glimmer of realism, no more. They now know that if they are seriously caught with their pants down again their whole raison d’être will be called into question. The appointment of Ron Paul as the official “hammer” of the FED is another glimmer of hope. At the moment, it is just a small snowball rolling down a mountain, but it is gathering more snow as it rolls. The ratings agencies must have noticed that complacency and deceit are gradually becoming unacceptable. As for the mainstream press, which by and large is bankrupt, a publication’s survival is less likely than a ratings agency’s. Pick up any regional or local newspaper, scan all of the positive editorials over the first three pages, and then turn to the readers’ letters page and you find the reality of people losing their jobs, homes, etc. From an economic point of view, this double-standard, transitional stage in the press is still only in its very early stages in spite of the economic slump’s starting almost four years ago. This sluggishness towards the realization of the truth portends a very long depression that will last way beyond the forecasts of even the most ardent bears. 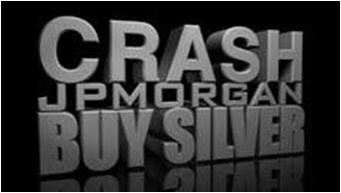 Keep in mind that, four years into this economic slump, there has been no increase in interest rates, no stock market crash/slump, no significant city or state defaults and no street violence in the U.S. of the kind already appearing in Europe. All of these things will afflict the U.S., so it will be a serious challenge to editors to try reporting “happy” with all that going on. It also reflects the evolution of the Internet in the sense that perhaps as recently as five years ago a commentator reporting economic truth in a blog (or whatever they were called in the good-old days) was regarded as a crank, and the mainstream press was regarded as the only place to find the truth. Hardly anybody nowadays would dispute that if you want the economic truth, you can only find it at blogs, etc. online, and that the mainstream press is not to be trusted. The younger generation that is growing up with this online truth — do you know any young people who read newspapers? — and seeing the heartache caused to their parents and grandparents by the mismanagement of the economy over the last few decades, will be the ones to pull us out of this quagmire, but it ain’t gonna happen any time soon! After all, since the political generation responsible for causing the problems is currently charged with resolving those problems, it does not bode well for the short or medium term. This policy amounts to criminal negligence. 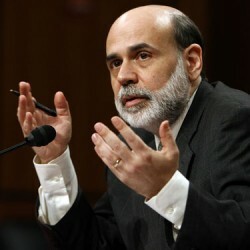 If Bernanke were a surgeon he would be doing jail time. To get a grip on the magnitude of Bernanke’s folly let’s go back to 2007 when the Fed’s balance sheet stood at $900 million. By 2009 it had jumped to $2.3 trillion, an increase of 136.7 per cent. The excuse was that a massive monetary injection was needed to prevent an economic collapse. I for one never believed that the US was in danger of a deflation-driven implosion. I also warned that the consequences of any rescue package would be to slow if not prevent the necessary economic adjustments from taking place. So what did America get for Bernanke’s swift monetary rescue? Unemployment stuck at 9.6 per cent with the broader measure standing at 17 per cent. His response is not to reason why but to once again step on the monetary accelerator. Brilliant. Absolutely brilliant. Let’s see what “Helicopter” Ben’s vulgar Keynesianism might mean for Americans. Short-term debt used to be the Fed’s main monetary instrument. Thanks to Bernanke most of the Fed’s Treasurys are now long long-term with about half exceeding five years. 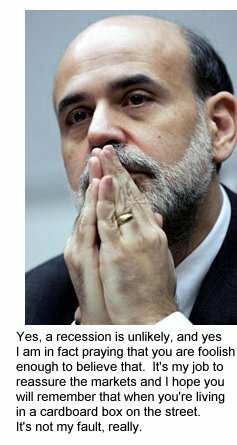 Bernanke has to know that in the current situation holding long term securities involves great risks. At the moment the rate stands at just over 4 per cent. You don’t have to be an expert in finance to realise that a rise to 6 per cent would slash the value of these holdings, wiping out several times over the capital on the Fed’s balance sheet. But why should this happen? Because Bernanke — the architect of this policy — has implemented a monetary strategy that must eventually drive up interest rates if not checked. And right now, there is nothing checking him. Flooding the economy with dollars is bound to arouse inflationary expectations. This will lead to rises in the yield of long-term bonds which in turn will drive down bond prices (there is a strict inverse relationship between the yield of a bond and its price) turning the Fed’s balance sheet into an ocean of red ink. On August 26, 1996 the Honorable Brooksley Born was sworn in as Chairman of the Commodity Futures Trading Commission. Her mandate then was the same as your mandate today: to protect market users and the public from fraud, manipulation, and abusive practices related to the sale of commodity and financial futures and options. Chairman Born quickly recognized that the large and growing unregulated derivatives markets posed a very real threat to the stability of the global financial system and fought to reign in the size and scope of these markets. She was stonewalled by influential people in the very same positions of power as those who are likely trying to stonewall the CFTC today in your efforts to implement the provisions of the Dodd-Frank Law. By the late 1990’s Chairman Born had been publicly attacked, her reputation vilified and was ultimately removed from her position at the CFTC by those who “pulled the strings” of the massive global banking system. She was targeted because she understood the terrible consequences that would befall our country if those who “ran the show” were allowed to use our free market system to their own advantage and towards their own agenda. The resulting economic collapse was directly attributed to those financial instruments that Chairman Born attempted to prohibit. HOW MANY OF YOU HAVE NOTICED THE CHANGE IN NEWS? THE FLAVOR OF THE NEWS HAS MARKEDLY “CHANGED” IN THE PAST FOUR OR FIVE MONTHS – HAVE YOU NOTICED IT? Who has picked up on the likes of Fox News’ Glen Beck and his ‘about face’ on many key issues? Over the past number of months personalities like Beck have completely reversed their positions on subjects like the existence of World Government and FEMA CAMPS – going from complete denial to admitting they exist and the fact that they are intended for the American people. Without a doubt, these are MAJOR recent reversals of position by key mainstream commentators. So what’s behind the change? The origin of this change dates back to July of this year. Radio talk show host / documentary film producer, Alex Jones, became frustrated with Google blocking the viewing of one of his films [The Obama Deception] on Youtube [Google owns Youtube]. Meanwhile, Jones simultaneously had his staff of skilled in-house writers prepare stories containing the key search term. The power of a few million listeners – entering the aforementioned google search term “drove” the issue to NUMBER 1 in google search. The “buzz” was driving huge new traffic to Jones’ internet portals, PrisonPlanet.com and InfoWars.com. If any of you are wondering how effective this tactic really is – you can judge for yourself by clicking on the Obama Deception here. I think you will find that you can now view the film if you choose to do so. It would appear that Google has relented – wanting no part of the negative backlash their censorship was earning them. The mainstream media – which seems to be losing ground to the internet almost daily – ALWAYS covers and writes their own stories [to give their own ‘slant’] to the number 1 google search terms. They do this because they recognize the number 1 search terms on the internet as being the ‘cutting edge’ of current news and for fear of becoming irrelevant if they don’t cover it. Jones quickly realized he was on to something BIG. Using the popularity of his radio show along with a combination of his two primary internet platforms and group of talented writers – he could have direct influence on “what is popular” or effectively, “what is news” on the internet. Jones had now replicated this initial success, over and over again, by introducing new search terms for his audience to ‘plug’ – typically at a rate of two or three per week. 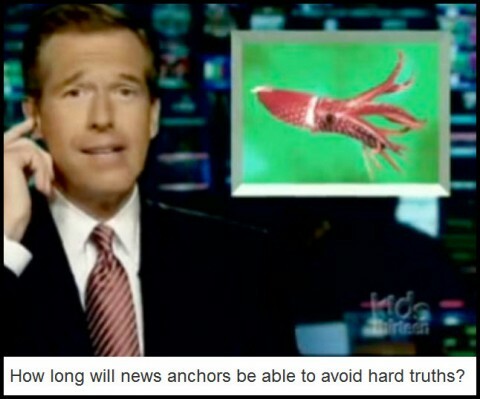 Ladies and gentlemen – nowadays, whatever issue is most popular on the internet “IS” or quickly becomes the key issue in the mainstream news. I have documented the poisoning of the nation’s culture and economy by a “game the system”/exploitation mentality: With accountability effectively lost, cheating, lying, misrepresention, embezzlement and fraud, both petty and monumental, have all been incentivized. Thus the “little people” game the welfare/entitlement system and the Financial Elites game the mortgage market, and everyone gamed whatever piece of the housing bubble they could grab. 1. Humans are selected to seek windfalls and exploit them. I call this windfall exploitation. It is neither good nor bad, it is simply a profoundly advantageous strategy in a hunter-gatherer-wanderer environment. Individuals can maximize their gain by exploiting windfalls alone, but some windfalls are better exploited by groups. This is the basis of cooperation, which is expressed in both capitalist and socialist systems. 3. Neoliberal Capitalism developed a solution for this paucity of natural windfalls: the partnership of the Financial Elites and the Central State. The Central State gathered powers of taxation and control which enable it to “enforce” the collection of the national income which can be channeled to its cronies in wealthy (and hence politically powerful) cartels. 4. The last significant windfall available to advanced global Capitalism was the financialization of the global economy. In the U.S., we see this clearly in the financial share of corporate profits; from a pittance in the “real growth” decades of the 1950s and 60s, finance-derived profits came to dominate Corporate America’s profits.